Ever since US Secretary of State Madeline Albright coined this phrase in 2006 it has been used as a stick to shame and condemn women accused of betraying the sisterhood. Last week former Channel Seven reporter Amy Taeuber used the quote in an article for Mamamia about how she felt betrayed by the sisterhood after she complained of sexual harassment and, she claims, was subsequently sacked from the network for bullying. “While facing the daunting prospect of an uncertain future after losing my dream job in 2016, I was coming to the stark realisation that the women I’d looked up to for many years weren’t coming to save me,” wrote Taeuber, who, according to News Corp reports, was served a legal letter by the network due to the article. It has since been removed from the site. In her piece, Taeuber wrote that some women she considered to be her close friends not only neglected to support her, but “actually helped cement my fate”. “In a time when I needed the sisterhood the most, I felt as if it had failed me,” she wrote. Much of Taeuber’s anger and disappointment seems to be directed at human resources staff, which is not surprising. HR features prominently in betrayal of the sisterhood stories, because it’s very often human resources that pulls the trigger at corporate firing squads. And given that HR is a female-dominated industry, it’s often sisters who are holding the gun. Taeuber’s hurt and Marcus’ words of support are understandable given the circumstances. In such an emotionally charged situation it is easy to spew our outrage at the individual women who are charged with “betraying the sisterhood”, meanwhile forgetting that the person who gave the order to fire was most likely not a sister at all. Human resources is a support function in an organisation. They work for the Managing Director or the CEO or the Board of Directors. 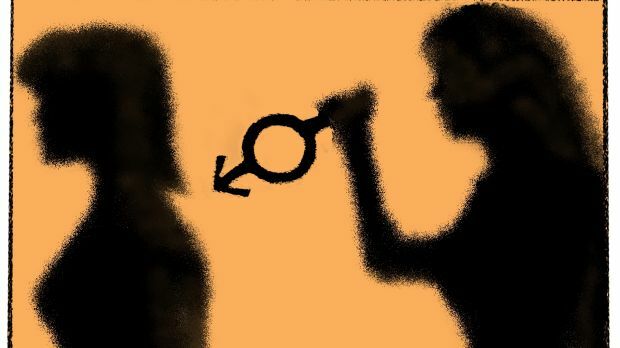 In the overwhelming majority of cases, they are taking their orders from men. And, moving away from the specifics of Taeuber’s case, in cases more generally where there has been a cover-up of sexual harassment, let’s not get side-tracked by the role of the female human shields and forget about who the actual perpetrator is. As Taeuber acknowledged herself, these women whom she accuses of choosing the company over the sisterhood rely on the company for putting food on their tables and a roof over their kids’ heads. Except for the most privileged of women, that is not a choice at all. I am not denying that some women act reprehensibly at times. Just like some men, some women can be arseholes. But it is unfair – sexist even – to use the sisterhood to hold women to a higher standard than we do men without simultaneously questioning the underlying structures within which we all work. When have men been condemned to a special place in hell for not supporting other men? We don’t even do that when said men send other men to their deaths in war. Nor do we do it when powerful men off-shore manufacturing, condemning whole towns of other men to unemployment, poverty and a loss of dignity. And we don’t do it when men knife each other in the back every single day in politics and boardrooms. These men are not charged with being the devil’s lieutenants, betraying the brotherhood. They’re just men making the tough decisions. Or, more to the point, ambitious men who are given free rein to look out for their own self interests. To be clear, I am not diminishing the value of the sisterhood, or giving up on it – either as an idea or as a practical political mechanism. On the contrary, I owe a great debt to women who have supported me emotionally and professionally in my career, and I go out of my way to repay that debt to other women. Recent weeks have also demonstrated how powerful we can be together. Would Harvey Weinstein, and the men who supported and enabled him, be under fire if it wasn’t for the power and support of women working together to expose the predatory behaviour? From securing the right to vote to the right to make our own reproductive choices, history has taught us that there is only one path to true gender equality, and that is a collective one. But we should not ignore that fact that women very often have no choice but to exist within the patriarchal structures they are fighting against. If we have too much of a romantic view of the sisterhood, and we start excommunicating women who are caught between a rock and a hard place, then the sisterhood will only become more fodder for those who seek to exclude us from power based on the tired cliché that “women are their own worst enemies”. The power of the sisterhood comes from sticking together and focusing our attentions on the real perpetrators of gender inequality. 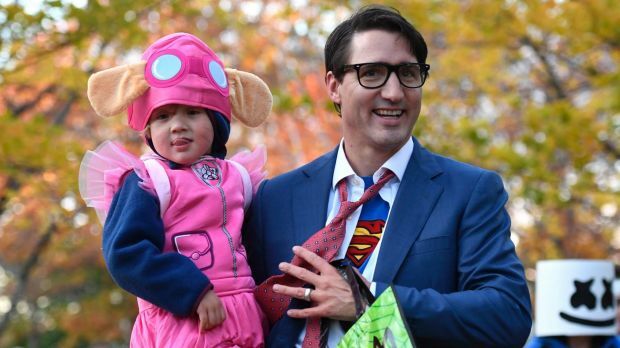 Nobody noticed what Justin Trudeau’s son wore to Halloween. And that’s worth celebrating. Was no one thinking about the children? !